This survey shows the percentage of Americans aged 40 years or older who received long-term care in select locations as of 2017. 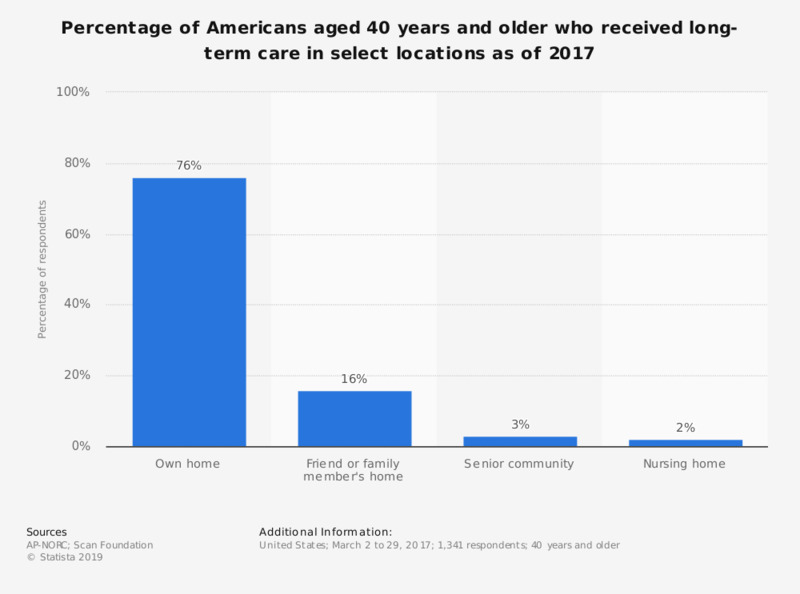 At this time, around 76 percent of older adults in the U.S. who received long-term care or ongoing living assistance received such care at their own home. Original question: "Are you currently receiving / Did you most recently receive this ongoing living assistance in your own home, in a friend or family member’s home, in a nursing home, or in a senior community?" Do you participate in activities of associations, movements or similar?